W hen we take on a criminal case, the first thing we look for is the possibility of a dismissal. One way that may be achieved is through MCL 762.11, commonly known as the Holmes Youthful Trainee Act or HYTA. According to the statute, young defendants may be allowed to keep their records clean under the condition that they demonstrate they have been reformed. HYTA is available to defendants between the ages of 17 and 24. It gives youthful offenders a second (or third, or fourth…) chance to protect their futures. 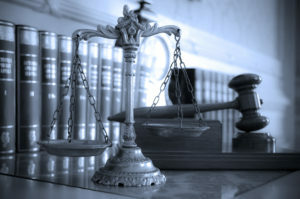 While certain crimes, like operating a vehicle while intoxicated, will prevent someone from being granted HYTA status, creative attorneys like those at LEWIS & DICKSTEIN, PLLC have had success convincing prosecutors to allow defendants to plead to amended charges that are covered under the statute. If your attorney can convince the judge to grant HYTA, the court will accept a guilty plea from the defendant but not enter a conviction. Assuming the defendant complies with all conditions placed upon him or her by the court, the case is eventually dismissed. The defendant may truthfully state that he or she was never convicted of a crime! The requirements for HYTA are fairly straightforward but not automatic so it is imperative that you retain a skilled attorney to fight for you in court. If the crime was committed by someone between the ages of 21 and 24, consent of the prosecutor is required for the court to grant HYTA. If the offender is between the ages of 17 and 21, prosecutorial consent is not required but can be helpful when persuading the judge that you are deserving of leniency. Either way, you want an experienced lawyer sitting down with the prosecutor and pushing for HYTA if a dismissal by other means is not possible. If you or a young person in your life have been accused of a crime in Oakland County, Wayne County, Macomb County, or elsewhere in Michigan, you need an attorney who will fight to keep your record clean and secure HYTA if it is available. The attorneys at LEWIS & DICKSTEIN, PLLC have decades of experience defending the accused and we understand the importance of a blemish-free record. Mistakes made in a person’s youth should not leave a permanent stain. The legislature intended to allow young people to benefit from this law and you deserve an attorney by your side who will demand you be given another chance. Call (248) 263-6800 or complete a Request for Assistance Form and one of our skilled attorneys will contact you. Don’t let a youthful mistake ruin your future!